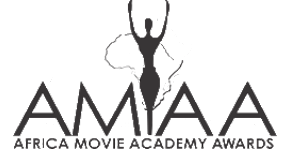 AMAA 2018: The Africa Film Academy cordially invites filmmakers to submit their feature, short, animation and documentary works for consideration in nearly 30 categories of the awards. The deadline for all submissions is 30th January 2018; a late entry deadline is 14/2/2018. Submission is on Film Freeway and in any of the AMAA offices across the continent. Nominations will be announced on April 2018 while the 14th Edition of the AMMA Awards will be held on June 2, 2018 and televised globally. AMAA which is an African Celebration of film and African Filmmakers was founded in 2005. Mostly held in Nigeria, it evolved from a one day event, televised live, to an annually chronicled African event. The award aims to facilitate the development and the showcasing of the social relevance of African film and cinema. The awards are presented to recognize and honour excellence in professional filmmaking in the African film industry and the African Diaspora. Awards will be presented in about 30 categories including best animation, best Diaspora feature, Best Africa Film in the Diaspora and Best Diaspora Short Film Awards inclusive of Caribbean Shorts and Caribbean features, achievement in make-up, achievement in production design, and achievement in editing, achievement in screenplay, best actor and actress in a supporting role, and more. Deadline for all submissions is January 30, 2018 while a late entry deadline is February 14, 2018. Submission is on Film Freeway and in any of the AMAA offices across the continent. Nominations will be announced on April 2018 while the 14th edition of the AMAA will be held on June 2, 2018 and televised globally. Only films produced and released between June 2016 and January 2018 may be entered.